“Intelligent management has improved work efficiency and reduced the waiting time for parking,” said Zhang Shunrong, a staff member from Yucai Parking Lot in Tongzhou district, Nantong. Car drivers can now use their mobile phones to pay for parking fees at the exits of some parking lots In Tongzhou district. Parking difficulties have also significantly increased as more and more people have started having their own private cars. In order to solve the parking issue, Tongzhou district has increased investment in building intelligent parking lots. Now Tongzhou already has 22 parking lots, of which four have intelligent automatic parking fee payment devices. 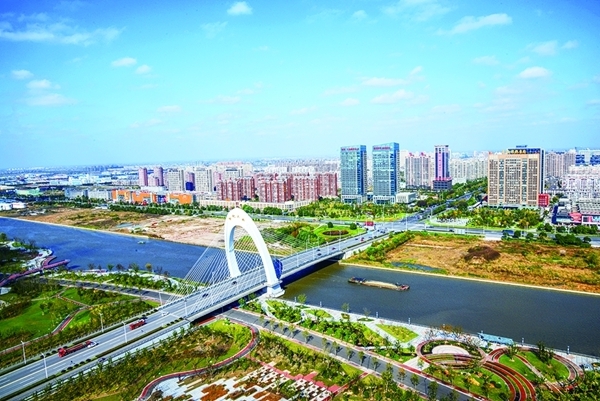 Tongzhou district will use four other parking lots to the east of the district’s hospital, south of the hospital, south of the Beishan Grand Hotel as well as Beishan Alley respectively.There will be 120 new parking lots. “We will find more parking spaces in the district and conduct scientific research and plan for the building of parking lots,” said Gu Bin, an official from the law enforcement team of the urban construction administration department. “We will make more efforts to conduct standard management of parking and encourage citizens to choose more environmentally friendly ways to travel,” Gu said.